In the year 2045, The European Space Agency launched the second of two spaceships to Saturn's largest moon, Titan. The first mission was scrubbed after all contact was lost with the spaceship launched five years before. Upon arriving on Titan, the crew of the second mission found the wreckage of the lost spaceship, which had apparently been damaged by an unexpected dense rock belt upon entry into Titan's atmosphere. Important supply components were scattered all over the moon, and it's now the job of Astro Willy to gather these components which are vital to the mission. 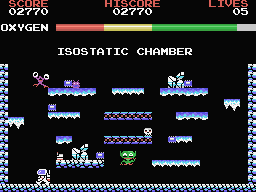 Guide Astro Willy through the perilous caverns of Titan, as he recovers the scattered components. 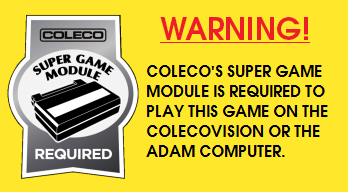 But be quick about it! Astro Willy's oxygen reserves are very limited! 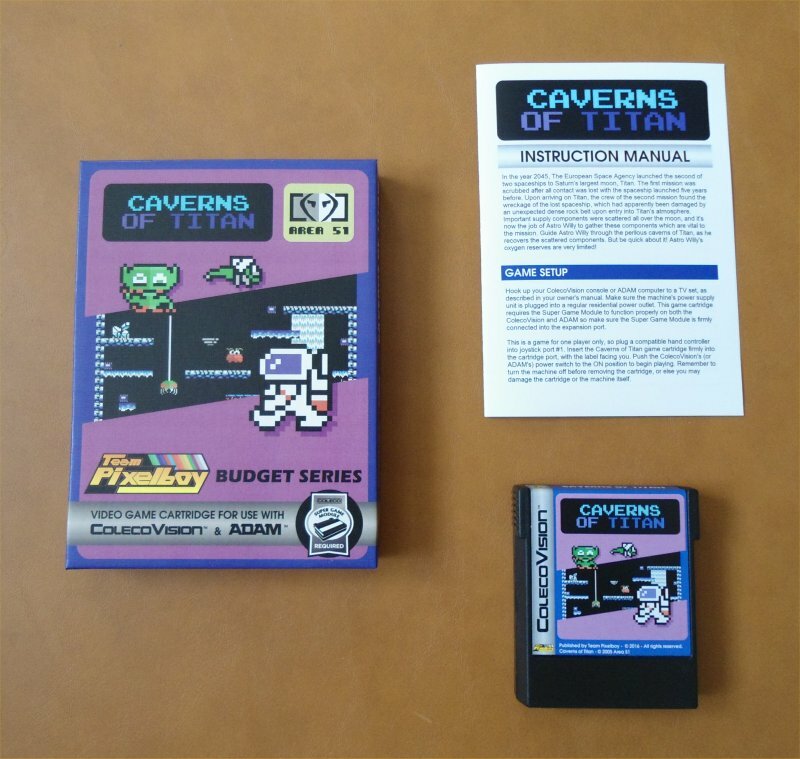 One of the MSX homebrew authors I contacted was Jose Luis Tur, who graciously allowed me to port and publish his MSX homebrew game Caverns of Titan to help Óscar. 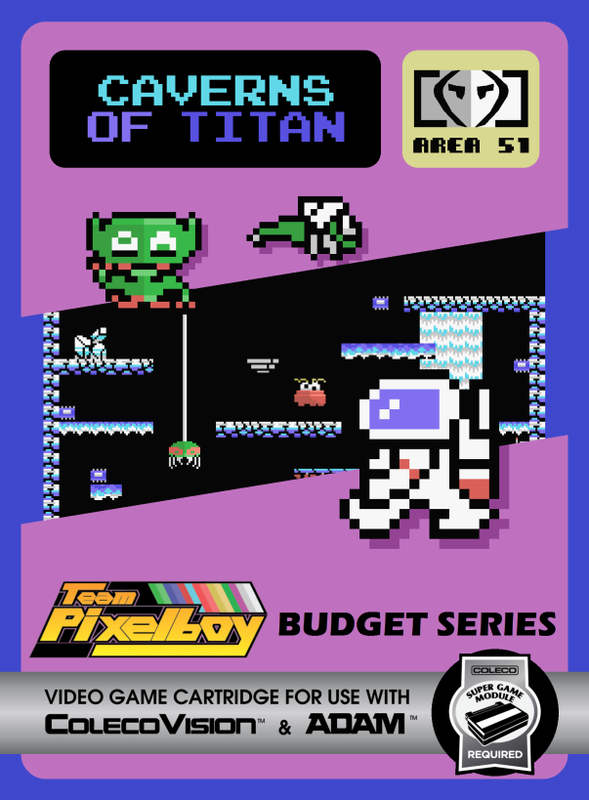 Óscar himself ported Caverns of Titan to ColecoVision. 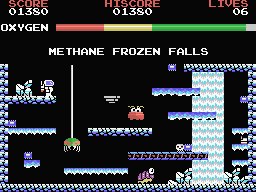 Here is a YouTube video of the ColecoVision version of Caverns of Titan.